I sometimes wish that anytime I wanted to go out and take photos that it would just automatically be sunset. It is really easy to get awesome shots at sunset, but unfortunately there is a small window to capture your shots. 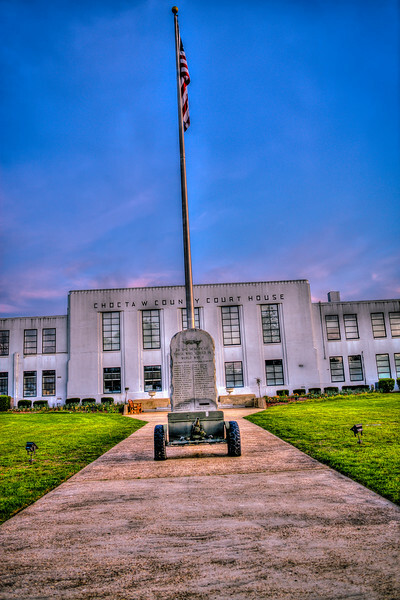 On my way back from Kosciusko I was able to make it to Ackerman in time for some sunset photos, and since I like photographing courthouses I made sure to get this one as well. Here is a shot from the corner of the Attala County Courthouse in the middle of the square with the confederate monument in the foreground. 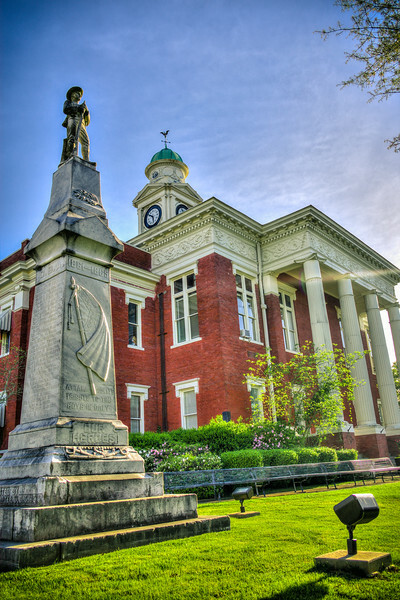 Kosciusko has a beautiful downtown square highlighted by the courthouse in the center of the square. Kosciusko is a very nice town that I recommend visiting. Aberdeen is a very historic town with lots of nice homes and other buildings. Here is a shot of the courthouse there. I have probably said this before but I love taking shots of the different courthouses in Mississippi and playing with different angles. 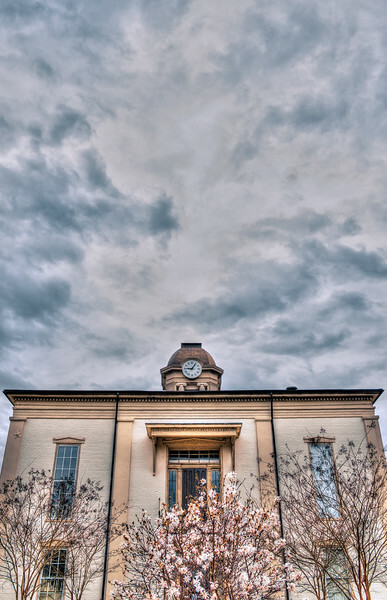 This cropped shot of the courthouse worked well with the texture of the clouds. Taking in photos in Jackson today! Here is the Courthouse in downtown Houston. 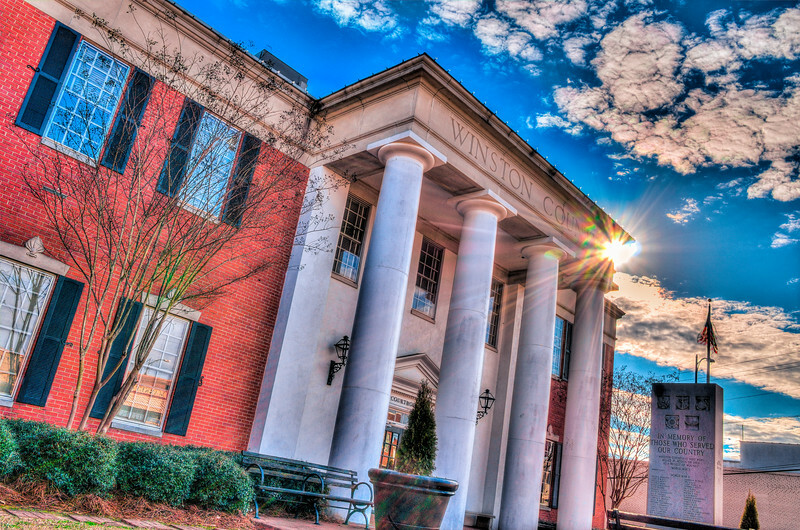 Mississippi has some beautiful courthouses and I usually photograph them when I visit different towns. 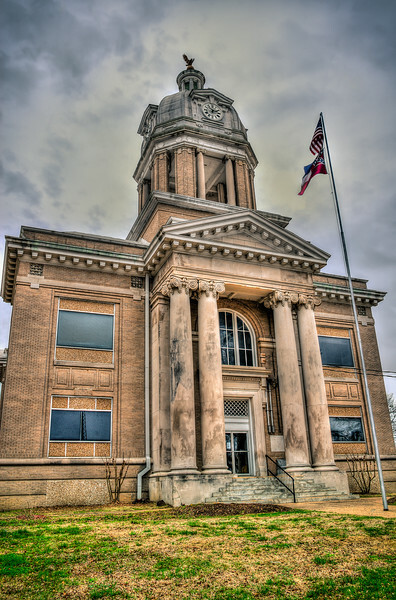 This one (as do most small town courthouses) sits in the middle of the town square. 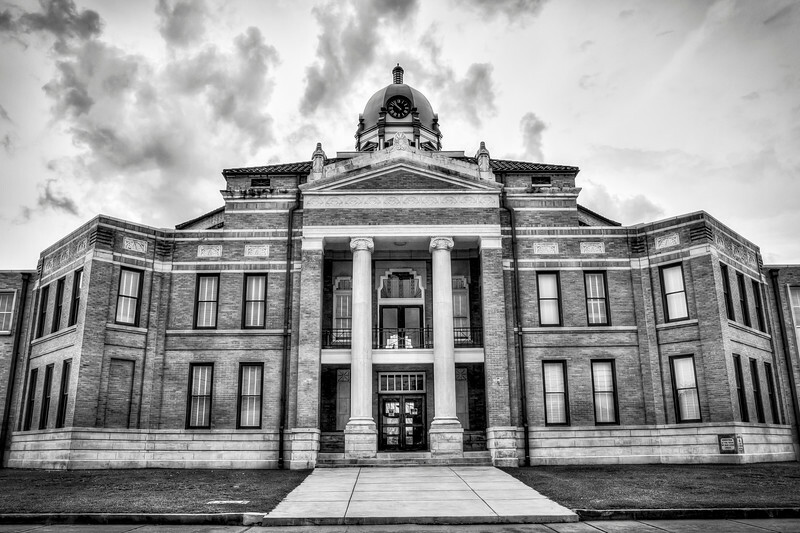 It was tough to get many pictures because it was pretty rainy on this day, but I thought the courthouse photos turned out well. My wife and I rode through French Camp and Kosciusko this past weekend and took lots of photos, so be on the lookout for those soon. I don't know why, but I got lots of good shots in Louisville. Probably the most successful photo shoot I've been on. Maybe it was the time of day, or the clouds that were out that day, or maybe Louisville is just an incredibly photogenic town. Either way, I'm very happy to have gotten many photos that I can use. I just walked around and took lots of photos with no plan in mind. The courthouse was one of my first stops and I just loved the way the sun was shining down from behind, peaking around the corner. Stay tuned, I'm still not done with Louisville.